A winter long project on assignment for the US legendary publication, Outside Magazine. 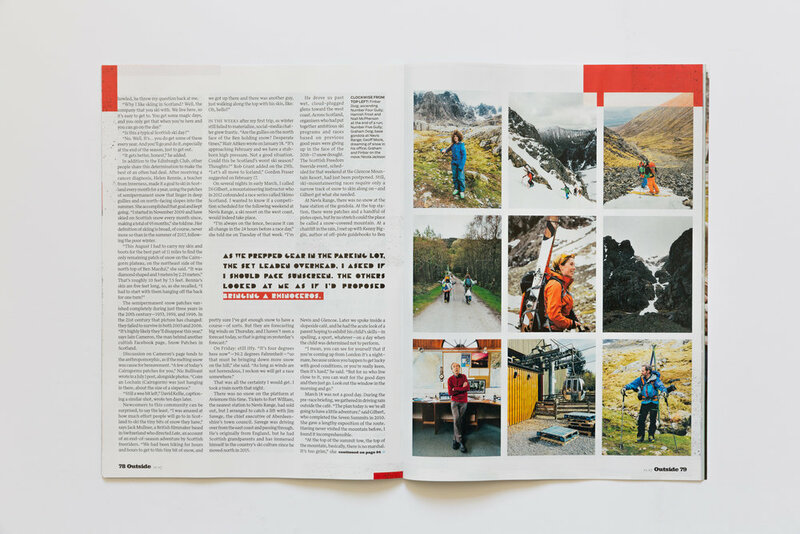 A print and online feature written by British writer Simon Akam that tells the stories of the die-hard skiers who tackle the harsh mountains in Scotland. Such a fun project to be involved in and one I am immensely proud of.